Ever since Assistant rolled out, you have been able to ask it to play any YouTube music video you wanted, except you had to say "watch [this video] on YouTube" from your phone, or if you were using a Google Home speaker, you could ask to "play [something] on the tv/chromecast." The "watch," "on YouTube," and, "on tv" distinctions had to be used, because Assistant considered YouTube as a video source (like Netflix) and not a music one (like Play Music). 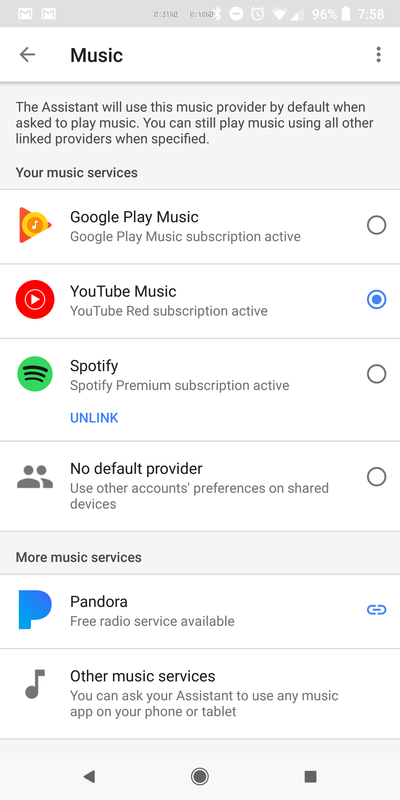 However, many of you go to YouTube as the first (and maybe only) music source and if you're one of these users, you'll be happy to know you can finally tell Assistant to set YouTube as your default music provider. 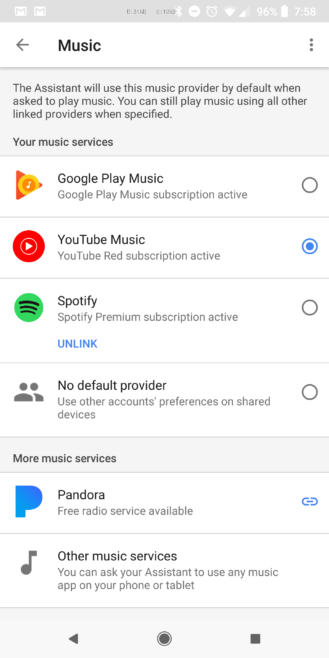 It's important to note that YouTube Music was showing up before in the list of default music providers in the US and Australia, where YouTube Red is available. This, however, is the regular YouTube, and we've confirmed it's there for users in the UK and India, both countries that do not have Red. We haven't personally checked, but if you're in France, Germany, Canada, Singapore, Italy, or Japan, chances are you'll also see YouTube. 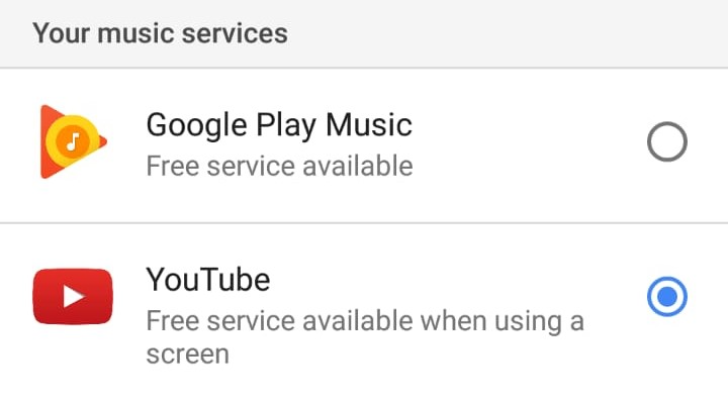 Music providers include YouTube in the UK (left, new) and YouTube Music in the US (right). If you set YouTube as your default music provider in Assistant, you'll notice that it requires a screen. That means that asking Assistant to simply "play Despacito" on your phone will open up the YouTube app and start playing the video, and doing the same from a Google Home will turn on the connected Chromecast / Android TV and start playing it as well. You don't need to say "watch," or "on TV," or "on YouTube," because it's now treated as any music source. The Google support pages haven't yet been updated to list YouTube as music provider in the UK or any other country, but they likely will add it soon. 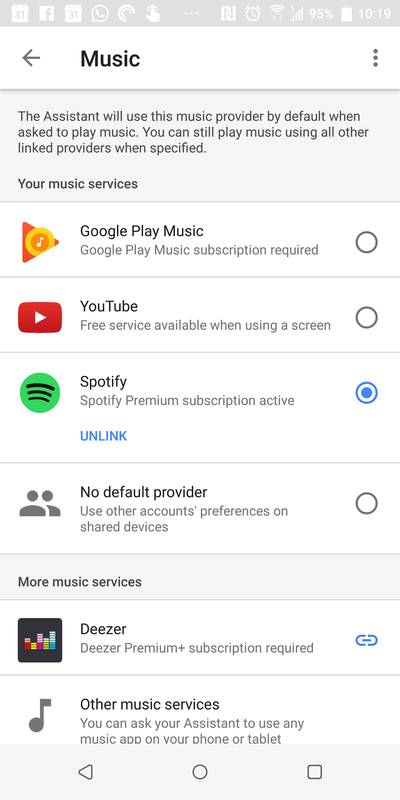 And remember that even if you switch your default music service, you can still play music from any other source, you'll just need to specify "on [service x]" to get it there.